The Spring Budget 2017 was presented by the Chancellor of the Exchequer on 8th March 2017. This will be the last Spring Budget. In future, the Budget will be held in autumn, commencing from autumn 2017. Many of the changes announced in the Budget commence the following 5th April, giving more time for planning and implementation. 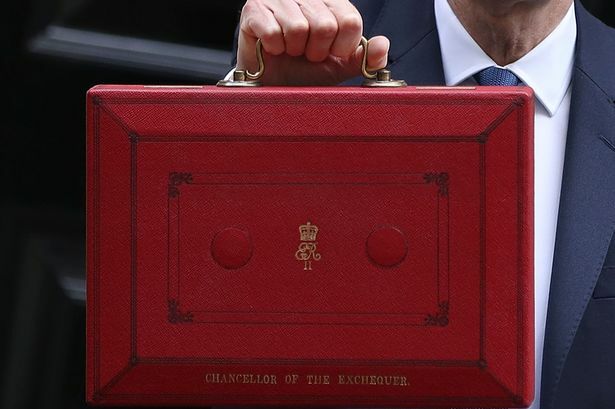 With regards to proposals specifically affecting the driving instructor industry, the Chancellor has announced a 2% increase in Insurance Premium Tax from June 2017 which will, of course, impact Car Insurance premiums. Significant changes are also coming in respect of Vehicle Excise Duty (VED). From 6th April 2017, for cars registered after 1st April 2017, there will be a first-year rate of up to £2,000, depending on the vehicles’ CO2 emissions and then a standard rate of £140. The standard rate will be increased in the first five years by £310 if the vehicle list price is more than £40,000. For vehicles registered between 1st March 2001 and 31st March 2017, VED will increase by Retail Price Index (RPI) from 6 April 2017. The average increase will be £5 per year. The personal allowance will increase from £11,000 to £11,500 from 6th April 2017. This increase is part of the Governments’ continued commitment to increase the personal allowance to £12,500 by the end of the current parliament. The threshold at which the personal allowance is reduced remains at £100,000. The personal allowance is reduced by £1 for every £2 of income above £100,000. This means that anyone with income over £123,000 in 2017/18, does not qualify for personal allowances. From 6th April 2017, the threshold at which individuals begin to pay tax at the higher rate of 40% will increase from £43,000 to £45,000. This increase is part of the Government’s continued commitment to raise the threshold to £50,000 by the end of the current parliament. The threshold at which individuals will be liable to pay tax at the rate of 45% remains at £150,000. Married Couples allowance will continue to be available where one applicant was born before 6th April 1935 and from 6th April 2017 neither applicant earns more than £28,000 (£27,700 in 16/17). From 6th April 2018, this will result in a minimum tax saving of £326 (£322 in 16/17) and the maximum tax saving of £844.50 (£835.50 in 16/17). Those who don’t qualify for Married Couples allowance, may qualify for Marriage Allowance. To qualify for Marriage Allowance one applicant must not be a taxpayer and the other must not be a higher rate taxpayer. From 6th April 2018, this will result in a tax saving of £230 (£220 in 16/17). From 6th April 2017, the annual exemption for CGT will increase to £11,300 (£11,100 in 16/17). The rates of CGT remain unchanged at 10% for basic rate taxpayers (18% for residential property) and 20% for higher rate taxpayers (28% for residential property). Since 6th April 2016, all bank and building society interest has been paid gross. If your non-savings income is below the tax free personal allowances detailed above, then the balance can be used against savings income. In addition to any “spare” personal allowances, basic rate taxpayers can earn a further £6,000 of savings income tax free and higher rate taxpayers can earn £5,500. The ISA allowance will rise from £15,240 to £20,000 from 6th April 2017. The ISA allowance also includes, from 6th April 2017, a new Lifetime ISA allowance. This will allow those under 40 years old to invest up to £4,000 per year and receive a bonus of 25% up to a maximum of £1,000 each year. Deposits can be made every year up to the age of 50. The funds can then be withdrawn from the age of 60. Funds can be withdrawn earlier if they are going to be used for a first-time house purchase. They can also be used if you are terminally ill or are moving to a different Lifetime ISA provider. If you withdraw for any other reason before the age of 60 then you will have to pay a charge of 25% of the amount withdrawn. There is also a “Junior ISA” available for under 18’s. From 6th April 2017, up to a maximum of £4,128 (£4,080 in 16/17) can be invested. From 6th April 2017, the tax-free lifetime allowance on contributions to pension pots remains at £1 million and the maximum annual allowance limit remains at £40,000. Savings income does not include dividend income. From 6th April 2017, the first £5,000 of any dividend income will be taxed at 0%. Above this threshold, basic rate taxpayers will pay 7.5% dividend tax, higher rate taxpayers 32.5% and additional rate taxpayers 38.1%. From 6th April 2018, the limit will be reduced to £2,000. From 6th April 2017, Class 2 NIC’s will be due on profits in excess of £6,025 (£5,965 in 16/17). This equates to a weekly rate of £2.85 (£2.80 in 16/17). From 6th April 2017 Class 4 NIC’s will be due on profits in excess of £8,164 (£8,060 in 16/17) at the rate of 9%, which is unchanged from 16/17. Profits above £45,000 (£43,000 in 16/17) will be liable at 2%. Class 2 NIC’s will be abolished from 6th April 2018 and the self-employed will only pay Class 4 NIC’s. The change will see an increase in Class 4 NIC’s to 10% from 6th April 2018 and to 11% from 6th April 2019. However, due to public outcry from the ‘white van man’, the legislation for the proposal will not now likely to be introduced until autumn 2017. The Corporation Tax rate for Limited companies will be cut to 19% from April 2017 and to 17% from April 2020. The VAT threshold will increase from £83,000 to £85,000 from 1st April 2017. Capital allowances for plant and machinery will remain at 100% for first £200,000 of first year additions (FYA). The main rate will remain unchanged at 18% and the special rate will remain at 8%. The Government will create two new income tax allowances of £1,000 each, for trading and property income. The allowances can be deducted from income instead of actual expenses. HMRC have confirmed that from 6th April 2018 the self-employed whose turnover or property income is over the VAT threshold (£85,000), will have to submit their business records quarterly with non VAT registered businesses joining MTD from 6th April 2019. An exemption has been proposed for businesses with a turnover of below £10,000. However, HMRC are still considering this proposal. If you would like to chat to us about how any of the above will affect you, then please contact us here.